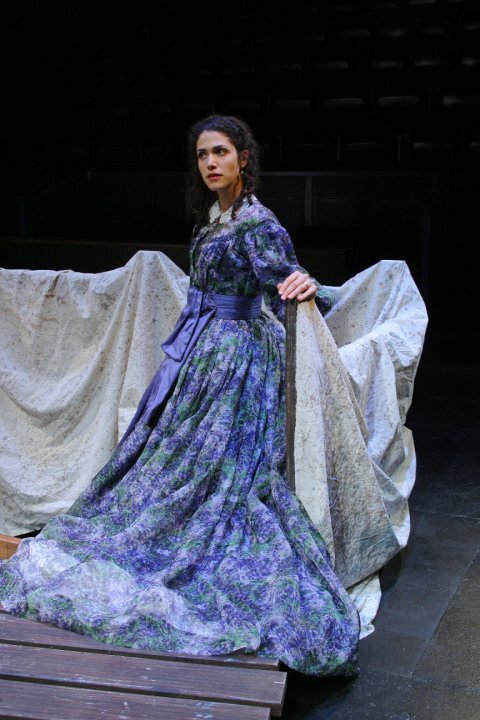 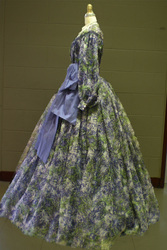 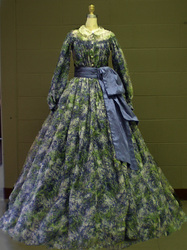 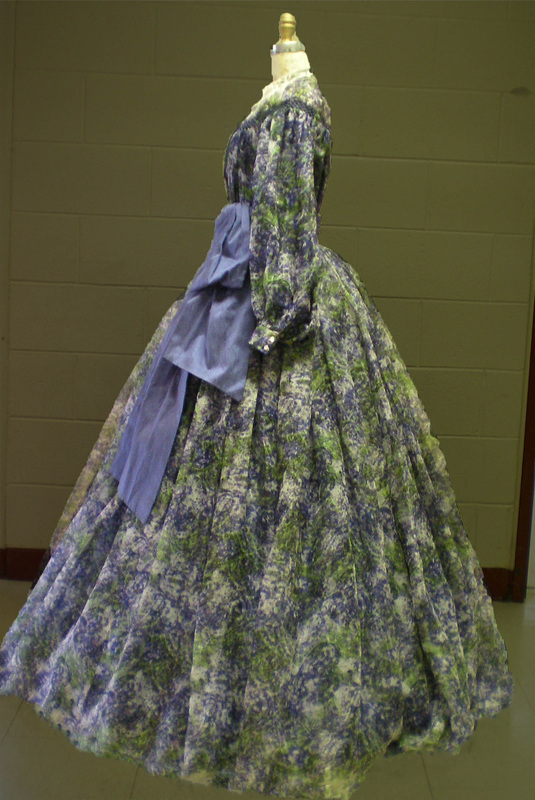 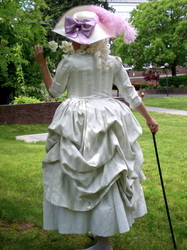 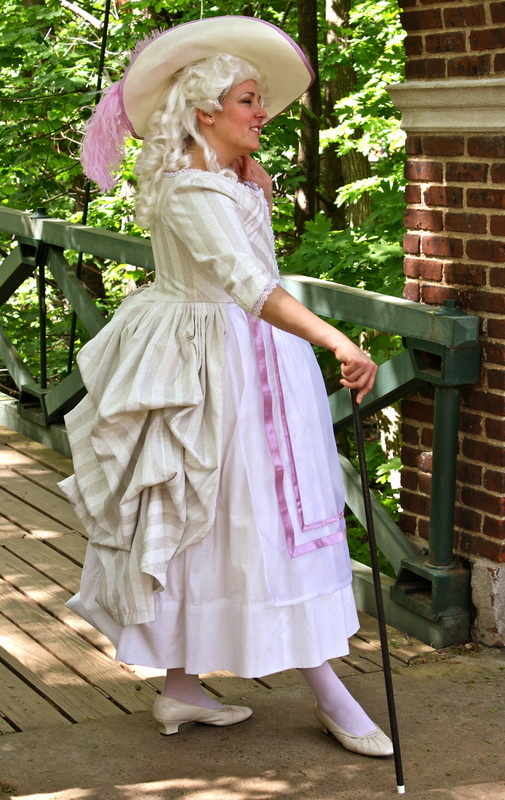 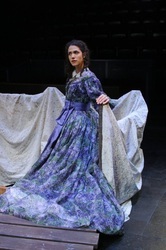 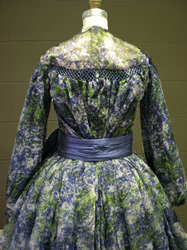 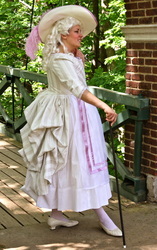 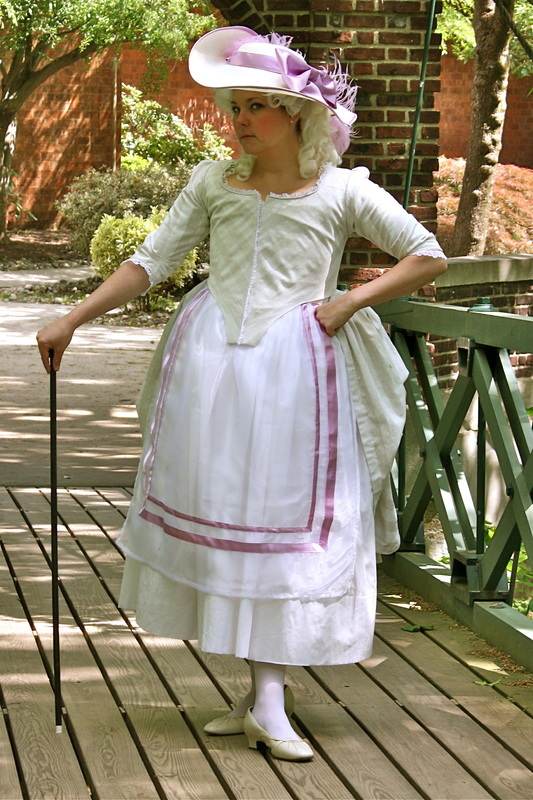 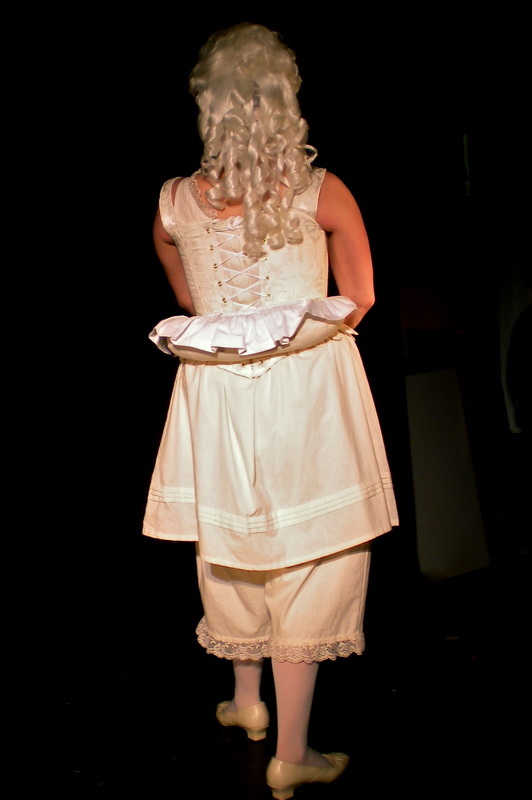 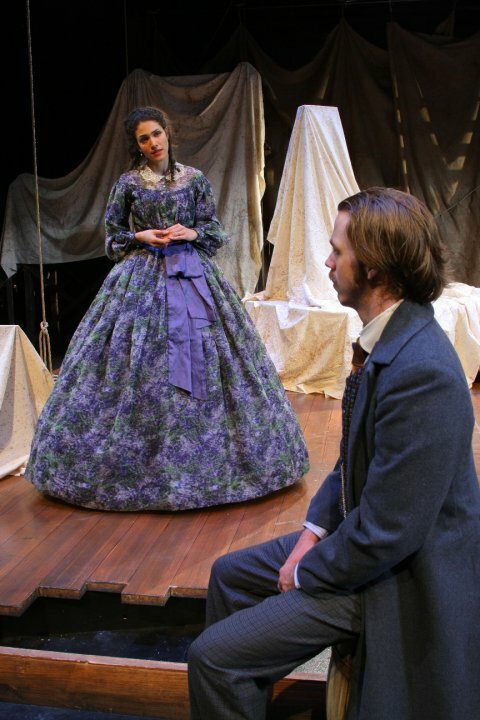 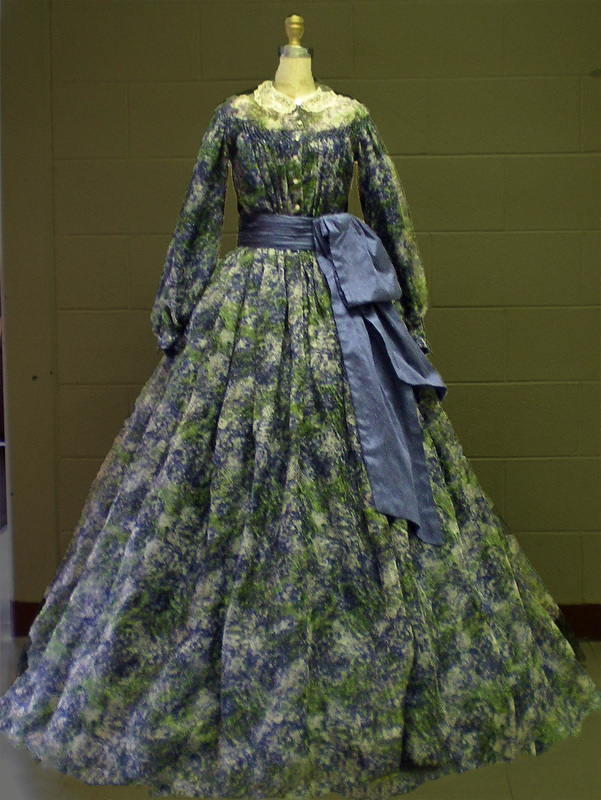 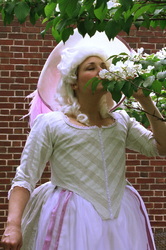 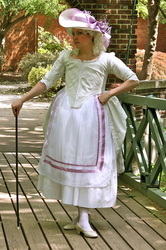 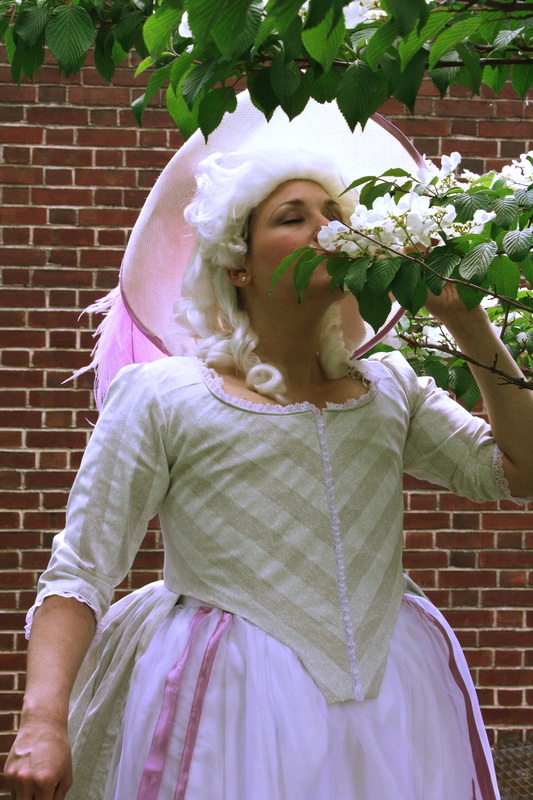 Smocked crinoline dress of printed silk organza and voile. 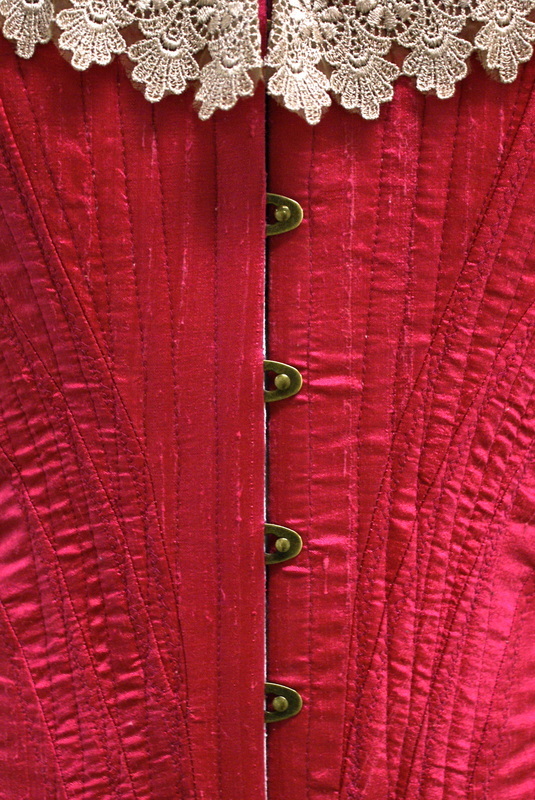 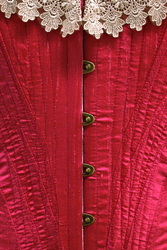 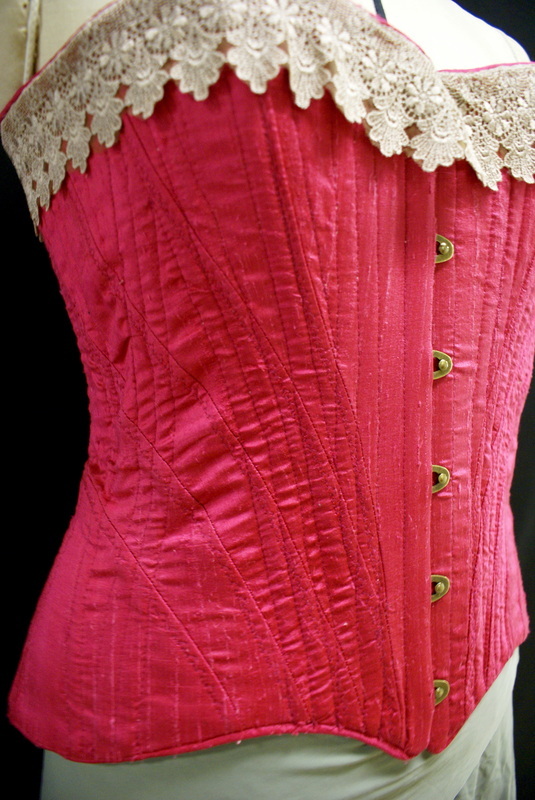 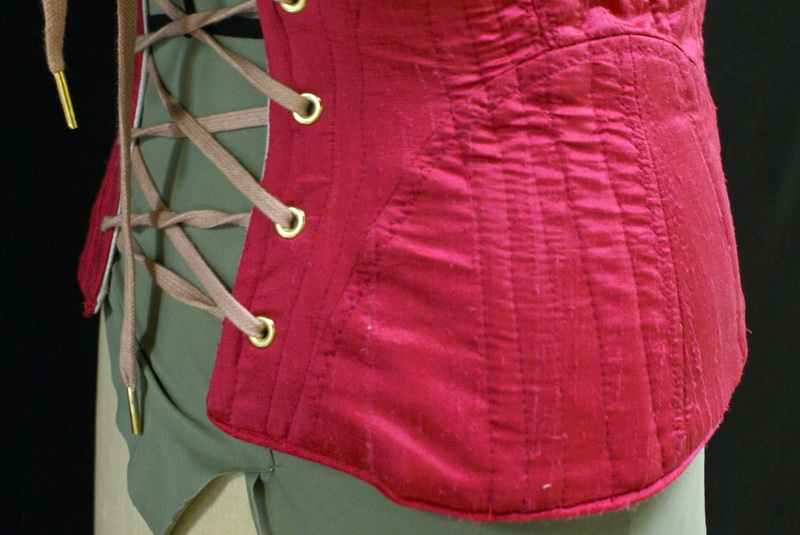 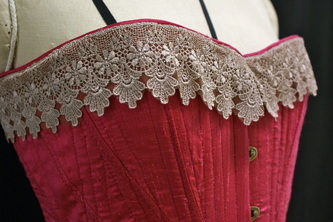 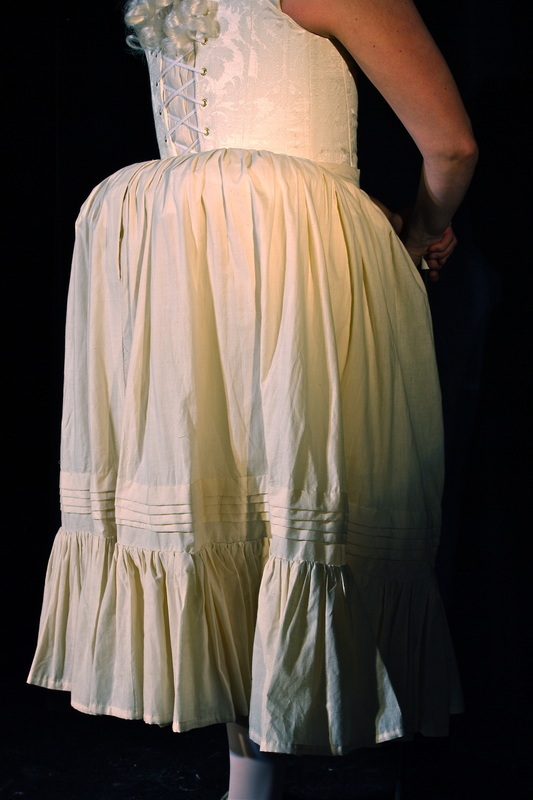 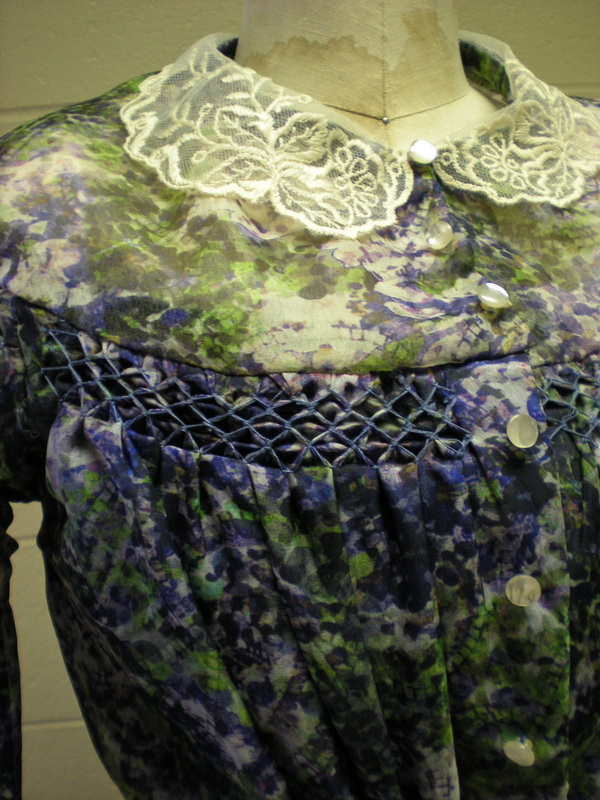 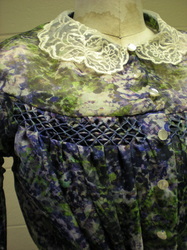 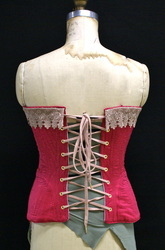 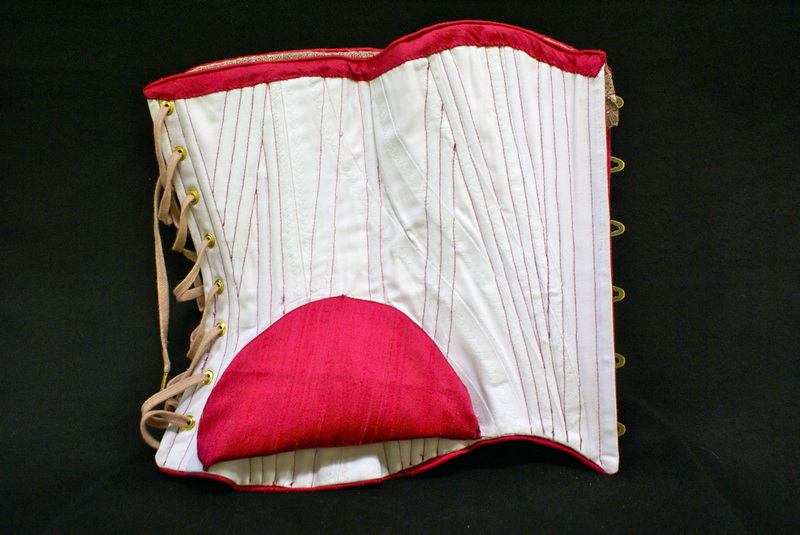 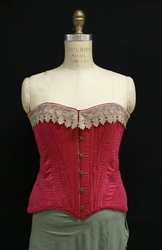 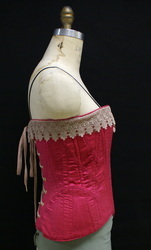 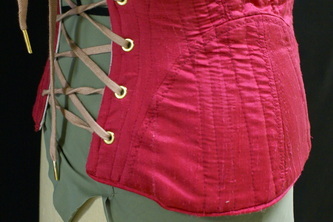 1905 corset for Mrs. VanBuren. 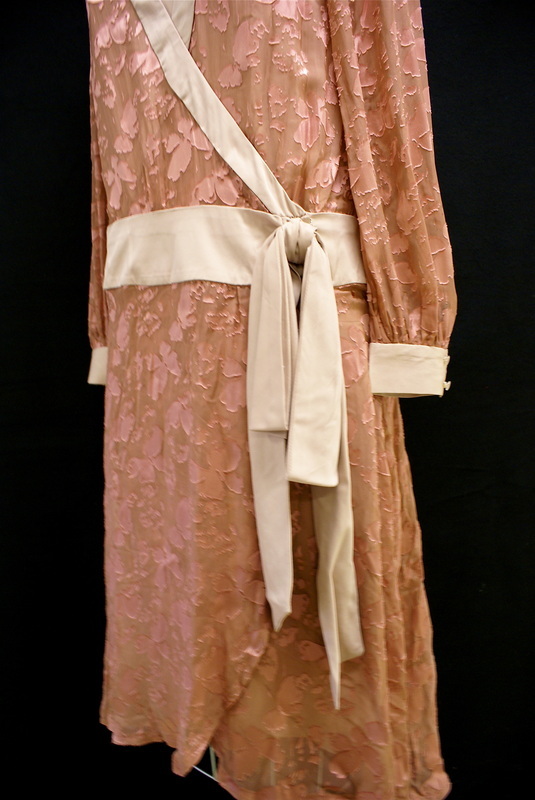 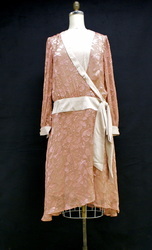 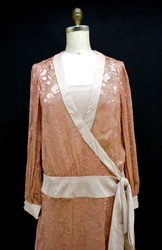 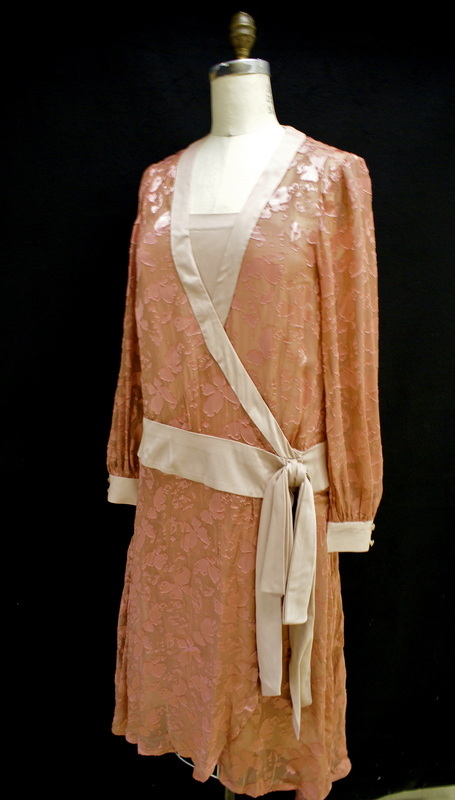 1920s wrap dress, for Helen, with shaped hem and separate slip.